Summer is a great time of year. I love that we can choose to be inside or outside without thinking about the time of day. Life is naturally more relaxed, filled with simple meals, great drying weather, time to water the garden. One thing that can make life uncomfortable is the abundance of insects. The problem for me has been that I dislike intensely the smell of commercial insect repellents. My solution was to make my own using essential oils. There are a number of options so I thought that I would help you get a start. Some oils can be used on their own but when blended they create a synergy that makes them more potent. One of the best known essential oils for protection against mosquitoes is Citronella, but I personally don't like it. Add 3 drops of each into 100ml of water and pour into a spray bottle. Combine these in 100ml of water and pour into a spray bottle. As long as you keep the ratio of oils the same you can make up a bigger quantity then use the undiluted combination in an oil burner either inside or around your barbecue area . 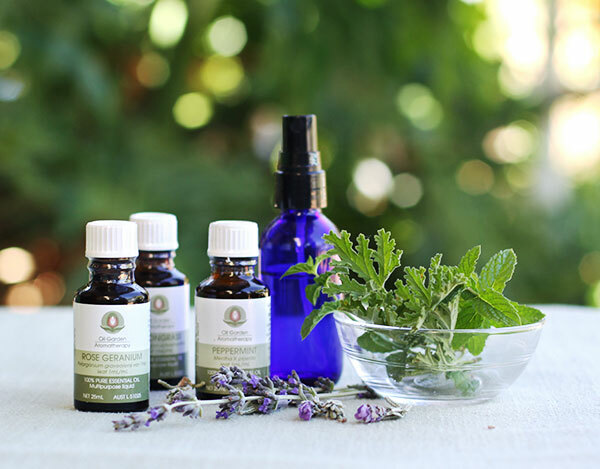 Nearly all essential oils need to be diluted in either water or plain (carrier) oil before use. 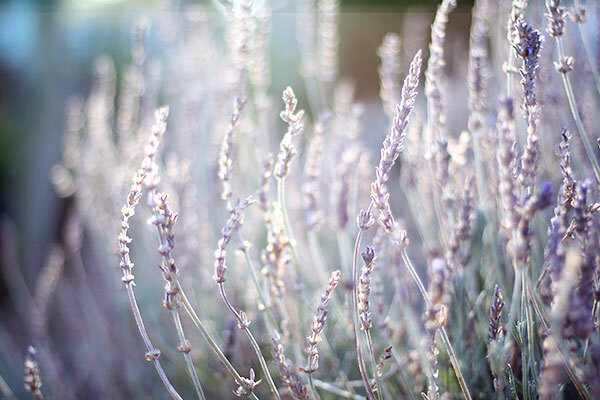 One exception is lavender oil which can be used directly on your skin and is a great way to deal with mosquito bites. To deter ants use either peppermint or spearmint oil. You can put a few drops in your mopping water or wipe window sills and bench tops with a damp cloth that has a few (2 or 3) drops of oil on it. Please make sure that you use a good quality essential oil (I recommend Oil Garden) and do not use fragrant oils as they will not work. * Peppermint oil should not be used during pregnancy, or on children under 2 years of age without medical advice. **Eucalyptus oil should not be used on children under 2 years of age without medical advice.